Ask any seasoned authors, how to push yourself to finish that never-ending wip and they’ll likely say the same thing: writing contests. Nothing pushes anyone to get work done like a deadline. Add a monetary award to the competition and the starving artist’s hunger pains begin to subside. Ask your friends and loved ones what they think of your writing and unless you’re lucky enough to have Pulitzer Prize-winning authors for friends, they’ll probably say how relatable your writing it is, how it brought them to tears. While they may be the best people to go to for the relentless support you need on tough days, when you want to up your game, you’ll need more critical feedback from experts, who don’t know you and don’t care about your feelings. You need to start submitting your work to writing contests. Check out our lists of over 100 writing contests. Below you’ll find opportunities for students, first-time authors, and published authors. Have your writing read by experts and maybe even get some recognition or a book seal for your work. We’ve organized them by category and deadlines, to make sure you don’t miss a date. Good luck! And when you win, you don’t have to give us a cut, but if you buy us each a cup of coffee, we’d be ecstatic. If you’re looking for past competitions, they’re in the 2019 Writing Competitions Archive. Hippocrates Prize for Poetry and Medicine 2019 Cash prizes of varying amounts are available for lucky winners. Eligibility: There are several different criteria for who can enter, depending on the category. Restrictions: All entries should be in English. Deadline: March 1, 2019 (for International Young Poet Award). Entry fees: Young Poets Category: £2 per entry. The Fish Poetry Prize The top 10 poems will be published in the FISH ANTHOLOGY 2019. First prize winner receives €1,000. Second prize winner receives a week in residence at Anam Cara Writers’ Retreat while the third prize winner receives €200. Eligibility: the poetry competition is open to poets of any nationality writing in English. Restrictions: the word limit is 300 words. Deadline: March 31, 2019. Entry fees: €14 and €8 for each subsequent entry. 2019 Wergle Flomp Humor Poetry Contest The first prize winner receives $1,000. The second prize receives $250 and 10 honorable mentions receive $100 each. Eligibility: the competition is open to anyone. Restrictions: you may submit one humor poem, in English. Your poem should not exceed 250 lines in length. You may also submit published or unpublished work. Deadline: April 1, 2019. Entry fees: no fees to enter. Poetry London 2019 Competition The first prize winner receives £5,000, the second prize receives £2,000, the third prize receives £1,000, four commendations receive £500 plus publication in the magazine. Eligibility: The competition is open to anyone. Restrictions: Entries must be in English, your own work, and not a translation of another poet. Entries must not have been previously published or self-published, in print or online, or have won a prize in another competition and the maximum length is 80 lines. Deadline: May 1, 2019. Entry fees: for Poetry London subscribers the entry fee is £3 per poem; for non-subscribers £7. Welsh Poetry Competition The first prize winner receives £250, the second prize receives £250, the third prize receives £100, and 17 runner-ups get published on their official website and in a future anthology. Eligibility: anyone. Restrictions: entries must be in English, not previously published in any form and each poem must be no more than 50 lines in length. Deadline: May 26, 2019. Entry fees: £5 per entry. The CBC Poetry Prize The winner receives $6,000 from the Canada Council for the Arts and will have the opportunity to attend a two-week writing residency at the Banff Centre for Arts and Creativity. Their winning submission will be published on CBC Books, amongst other perks. Eligibility: Canadian citizens and residents. Restrictions: N/A. Deadline: May 31, 2019. Entry fees: $25. The Yeovil Literary Prize 2020 for Poetry. The first prize winner receives £500, the second prize receives £200 and the third prize receives £100. Eligibility: The Yeovil Literary Prize is open to anyone over the age of 16. Restrictions: entries must be the work of the entrant and must not have been previously self-published, broadcast, or accepted for publication. Maximum of 40 lines. Deadline: May 31, 2019. Entry fees: £7 for one poem and £10 for two. McLellan Poetry Competition 2019 The first prize winner receives £1,500. The second prize receives £300 and the third prize receives £150 as well as 6 commendations get to receive £25. Eligibility: the competition is open to anyone. Restrictions: all poems should be of no more than 80 lines (excluding title), in English and your own original work (no translations). Deadline: June 21, 2019. Entry fees: the entry fee is £6 for the first poem and £5 for each subsequent poem submitted on the same form. Queen Mary Wasafiri New Writing Prize The winners of each category will be published by Wasafiri in print and online and receive a £1,000 cash prize. They will also be offered the Chapter and Verse or Free Reads mentoring scheme in partnership with The Literary Consultancy (dependent on eligibility). Eligibility: new or emerging writers. Restrictions: the competition is open to anyone who has not published a complete book in the category entered. The word limit is 3000 maximum (or a maximum of 5 poems). Deadline: June 28, 2019. Entry fees: £6 for single entry, £10 for two entries and £15 for three entries. Crabbe Competition 2019 The first prize winner receives £600, the second prize receives £300, the third prize receives £150 and two highly commended prizes of £75 each. Restrictions: entrants should either have been born, or educated, work or be resident in Suffolk, or be a member of Suffolk Poetry Society and Poems must be the writer’s own work, not published, broadcast, on a website, or currently entered in any other competition. Poems should be in English and a maximum of 50 lines. Deadline: June 29, 2019. Entry fees: £3 for each poem. Blue Mountain Arts Poetry for cards. First Prize is $350. Eligibility: Anyone. Restrictions: N/A. Deadline: June 30, 2019. Entry fees: FREE. The 2019 University of Canberra Vice-Chancellor’s International Poetry Prize The winner will receive $15,000 AUD and the runner-up (second-placed poem) will receive $5,000 AUD. Eligibility: all entrants must be 18 years of age or over when they enter. Entries may be submitted from any place in the world. Restrictions: Unpublished works that have not been previously broadcast publicly, in whole or part. All poems entered for the prize must be single poems with a maximum length of 50 lines and be no more than 1,000 words in total. Deadline: June 30, 2019. Entry fees: $25 AUD. The Rattle Poetry Prize 2019 One $10,000 winner and ten $200 finalists will be selected in an anonymous review by the editors of Rattle and printed in the Winter 2019 issue. One $2,000 Readers’ Choice Award will then be chosen from among the finalists by subscriber and entrant vote. Deadline: July 15, 2019. Ledbury Poetry Competition 2019 For adults, the first prize winner receives £1,000 in cash and a course at Tŷ Newydd, The National Writers’ Centre for Wales. Eligibility: Three categories: Adults (18+) Restrictions: All poems must be the original work of the entrant and should not have been previously published, accepted for publication by a magazine, nor entered in other competitions. The length of each poem must not exceed 40 lines. Deadline: July 18, 2019. Entry fees: adults: £5.75 for first poem, £3.50 for each subsequent poem. Aesthetica Creative Writing Award The prize winners receive £1,000 for the poetry submissions and publication in the Aesthetica Creative Writing Annual 2020. Eligibility: Anyone can enter the Aesthetica Creative Writing Award. This is an international competition and there is no age limit. Restrictions: Poetry entries should be no more than 40 lines. Deadline: August 31, 2019. Entry fees: £12 for one poetry entry. Tom Howard/Margaret Reid Poetry Contest The Tom Howard Prize: $2,000 for a poem in any style or genre. The Margaret Reid Prize: $2,000 for a poem that rhymes or has a traditional style. The top two winners will also receive one-year gift certificates from their co-sponsor, Duotrope (a $50 value). Ten honorable mentions will receive $100 each in any style. Eligibility: Anyone. Restrictions: 250 lines maximum per poem. Deadline: September 30, 2019. Entry fees: $12 per poem. Naomi Long Madgett Poetry Award Winners receive a $500 prize and publication by Broadside Lotus Press. Eligibility: Open to African American poets only who are as yet unpublished. Deadline: TBA. Entry fees: FREE. Lenore Marshall Poetry Prize The winner receives $25,000 in prize money, with distribution of the winning book to Academy of American Poets Eligibility: US citizens and residents only. Restrictions: Books must be published in the US and submitted in the year after their publication. Self-published books are not eligible. Deadline: May 15, 2019. Entry fees: $75 per entry. Glenna Luschei Prize for African Poetry The winner receives $5,000 for their original work. Eligibility: Poets from the African continent. Restrictions: Only work published in the previous year. Self-published work is not eligible. Deadline: October 1, 2019. Entry fees: FREE. 2019 ABR Elizabeth Jolley Short Story Prize First prize winner receives $5,000. The second prize winner receives $3,000 and the third prize is $2,000. The three commended stories will share the remaining $2,500 in prize money. Eligibility: entry is open to anyone in the world who is writing in English. Restrictions: entries must be original works of fiction written by an individual author. Previously published, prize-winning, or broadcast stories will not be accepted. (Previous online appearances constitute prior publication.) Entries will be deemed ineligible if they are under contract to another publisher or broadcaster. Entries must be a single story of 2,000 to 5,000 words in length. Deadline: entries close at midnight 15 April 2019. Entry fees: current ABR subscriber: $15 AUD; full-time student: $15 AUD; standard/non subscriber: $25 AUD. 2019 Bath Short Story Award The first prize winner receives £1,200. The second prize receives £300 and the third prize receives £100. The winner of the Acorn Award (for an unpublished writer): £100. Eligibility: Entrants must be 16 years or over. Restrictions: stories can be on any theme or subject but must be original and written in English. They must also be for adult or young adult readers. They accept stories online or by post up to 2200 words long on any theme and subject. Non-fiction and fiction written for children under 13 years are not eligible. Deadline: April 15, 2019. Entry fees: £8.00 per entry. Tom Howard/John H. Reid Fiction Contest The first prize winner for the story submission receives $2,000. The top two winners will also receive one-year gift certificates from their co-sponsor, Duotrope (a $50 value). Ten honorable mentions will receive $100 each (any category). Eligibility: the competition is open to anyone. Restrictions: 6,000 words maximum. Deadline: April 30, 2019. Entry fees: $20 per entry. Final Short Story Award for New Writers The First Place prize includes a $2,500 cash award and publication in Glimmer Train Stories, with 10 copies for the winning author. Eligibility: Emerging writers (See site for details). Restrictions: 500 – 12,000 words. Deadline: April 30. Entry fees: $18 per submission. Final Family Matters Contest Stories about families of any configuration are welcome. The First Place prize includes a $2,500 cash award and publication in Glimmer Train Stories, with 10 copies for the winning author. Eligibility: N/A. Restrictions: 500 – 12,000 words. Deadline: April 30 (a 10-day grace period). Entry fees: $18 per submission. 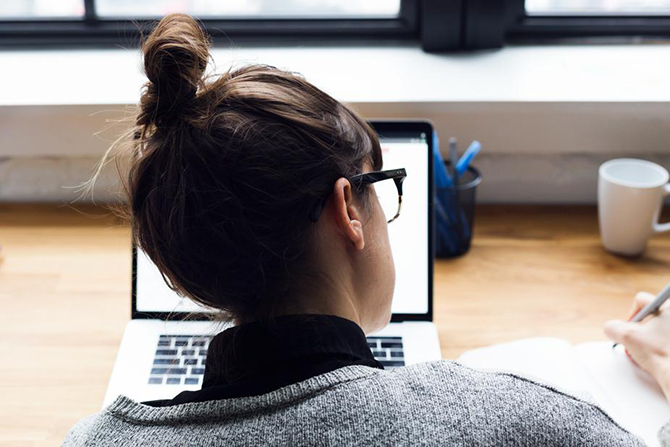 Writer’s Digest Annual Writing Competition The Grand Prize winner gets $5,000, a feature in Writer’s Digest magazine, a paid trip to a writing conference and more. Runners-up earn prizes in first through tenth places. Eligibility: Able to attend the conference in the United States. Deadline: May 6, 2019. Entry fee: Varies. Lorian Hemingway Short Story Competition The first-place winner will receive $1,500 and publication of his or her winning story in Cutthroat: A Journal of the Arts. The second – and third– place winners will receive $500 each. Honorable mentions will also be awarded to entrants whose work demonstrates promise. Eligibility: anyone. Restrictions: the literary competition is open to all U.S. and international writers whose fiction has not appeared in a nationally distributed publication with a circulation of 5,000 or more. Stories may not exceed 3,500 words in length. Deadline: May 15, 2019. Entry fees: the entry fee is $15 for each story postmarked by May 1, 2019. The late entry fee is $20 for each story postmarked by May 15, 2019. The Raymond Carver Short Story Contest The first prize winner receives $1500, the second prize receives $500, the third prize receives $250 and two editor’s choice winners receive $125. Winning stories will be read by three literary agents. Honorable mentions and semifinalists will be listed online for up to 6 months. Eligibility: they accept entries from anywhere in the world and anyone, but the story must be in English. Restrictions: No genre fiction (romance, horror, sci-fi); literary fiction only. The story must be previously unpublished (including online) and with a max word count of 10,000 words. Winners of the past two Raymond Carver and Prose & Poetry contests are ineligible. Deadline: Contest opens each year April 1 – May 15 2019. Entry Fees: $17 online / $15 mailed, per story. No limit to number of stories. Tillie Olsen Short Story Award The winner will receive $500 and publication in the October issue. All entries will be considered for publication. Eligibility: Anyone. Restrictions: Entries should consist of unpublished, short stories not longer than 5,000 words in length. Deadline: May 30, 2019. Entry fees: $15. The Bridport Prize 2019Short stories can win up to £5,000. Prizes for the flash fiction submissions are up to £1,000. Eligibility: The Bridport Prize is open to writers of any nationality writing in English, 16 years old and over at the time of the closing date. Restrictions:5000 words max for short stories, 250 words max for flash fiction. Deadline: May 31, 2019. Entry fees: £10 for each submitted short story, £8 for each submitted flash fiction. Reflex Fiction First place winner wins £1,000 with second and third place prizes also available. Eligibility: Anyone over the age of 16. Restrictions: Submitted entries should not have been previously published. Deadline: May 31, 2019. Entry fees: £7. The Yeovil Literary Prize 2021 The first prize winner receives £500, the second prize £200 receives and the third prize receives £100. Eligibility: The Yeovil Literary Prize is open to anyone over the age of 16. Restrictions: entries must be the work of the entrant and must not have been previously self-published, broadcast, or accepted for publication. Maximum of 2,000 words. Deadline: May 31, 2019. Entry fees: £7. 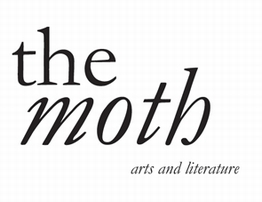 The Moth International Short Story Prize 2019 The first prize winner receives €3,000, the second prize receives a week-long writing retreat at Circle of Misse in France plus €250 travel stipend, and the third prize receives €1,000. Eligibility: the competition is open to anyone over the age of 16. Restrictions: entries must be entirely the work of the entrant and must never have been published, self-published, published online or broadcast. There is a word limit of 5,000. Entries must be in English. Deadline: June 30, 2019. Entry fees: €12 per story. The William Van Wert Memorial Fiction Award The first prize winner receives $1,000 and publication in Hidden River Review of Arts & Letters. Eligibility: Anyone. Restrictions: Unpublished short story or novel excerpt. Any previously unpublished short story or novel excerpt of 25 pages or less. Deadline: June 30, 2019. Entry fees: $17. Christopher Fielden’s Biennial Short Story Competition The first prize winner receives £1,000, the second prize receives £500, the third prize receives £250, 3 highly commended entries receive £100, 14 shortlisted entries receive £50, and all winners and shortlisted entries will be published in the To Hull And Back Short Story Anthology. Restrictions: Stories must be no longer than 2,500 words in length. Deadline: July 31, 2019. Entry fees: Early bird entry fee before April 30, 2019: £11 for 1 story, £18 for 2 stories, £22 for 3 stories. May 1, 2019 to July 31, 2019: £13 for 1 story, £21 for 2 stories, £26 for 3 stories. The Seán Ó Faoláin Short Story Competition 2019 The first prize winner receives €2,000, publication in the literary journal Southword, and a week-long residency at Anam Cara Writer’s and Artist’s Retreat. The second prize receives €500 and publication in Southword and four runners-up receive €250 and publication in Southword. Restrictions: Original, unpublished, and unbroadcast short stories in the English language. Entries must be 3,000 words or fewer. The story can be on any subject, in any style, by a writer of any nationality, living anywhere in the world. Translated work is not in the scope of this competition. Deadline: July 31, 2019. Entry fees: €18 per story. Olga Sinclair Open Short Story Competition 2019 The first prize winner receives £400, the second prize receives £250, the third prize receives £100 and seven shortlisted winners get their work published in their annual anthology along with the top three. Eligibility: anyone. Restrictions: entries must never have been published or self-published in any format. Entries must be entirely the work of the entrant and follow the theme ‘Spooks’ with a 2000 word limit. Deadline: July 31, 2019 for email entries, July 16, 2019 for postal entries. Entry fees: £8 per manuscript. Aesthetica Creative Writing Award The prize winners receive £1,000 for the short fiction submissions and publication in the Aesthetica Creative Writing Annual 2020. Eligibility: Anyone can enter the Aesthetica Creative Writing Award. This is an international competition and there is no age limit. Restrictions: Fiction entries should be no more than 2,000 words. Deadline: August 31, 2019. Entry fees: £18 for one short fiction entry. New Letters Publication Award in Fiction The winner receives a $750 cash prize and has their story published in the New Letters. Eligibility: Anyone. Restrictions: Submitted stories must be previously unpublished. Deadline: October 2019. Entry fees: $20 per manuscript. The Future Visions Award The Publisher will donate the Award, plus $500 in cash to the story it feels best represents the future vision of either the world, or of people. The Blend will publish the recipient in the next issue of the journal. Eligibility: Submissions to the Future Visions Award are open to all short fiction (3500 – 7000 words) for unpublished original submissions, and up to 10,000 words for previously published stories. Restrictions: Self-published is considered published. Published fiction must have been published January 2017 – January 2019. Deadline: November 15, 2019. Entry fees: $5. ServiceScape Short Story Award 2018 Along with receiving an award for 1,000 USD, the winner will have his or her short story featured on ServiceScape’s blog, which reaches thousands of readers per month. Eligibility: Anyone over the age of 18. Restrictions: N/A. Deadline: November 30, 2019. Entry fees: FREE. Sweek Flash Fiction First place winner receives £50, with the entry published. Eligibility: Entrants must be over 13 years. Restrictions: N/A. Deadline: Weekly deadlines. Entry fees: FREE. Sunday Times EFG Short Story Award The first prize winner gains £30,000, with five shortlisted authors receiving £1,000 each. Eligibility: Any UK published novelist or short story writer. Restrictions: N/A. Deadline: TBA. Entry Fees: FREE. National Indie Excellence Book Awards Winners and finalists garner more attention and an opportunity to receive valuable prizes from sponsors. Eligibility: Indie and self-published authors. Restrictions: All titles must have an ISBN and be published books available for sale. Deadline: March 31, 2019. Entry Fees: $75. Independent Press Awards Winners gain help with promoting their materials, as well as easy to download seals for the winning manuscript. Eligibility: Independent authors and press books. Restrictions: All books must be in final published form and include ISBNs. Deadline: March 31, 2019. Entry Fee: $95 per entry per category; then $75 per additional entry per category. The International Rubery Book Awards First place winner receives a £1,500 prize with their work guaranteed a read by a top London literary agency. Category winners receive £150 each. Eligibility: Indie writers, self-published authors and books printed by independent presses. Restrictions: Only published books and ebooks. Deadline: March 31, 2019. Entry Fees: $60. Tom Howard/John H. Reid Essay Contest The first prize winner for the essay submission receives $2,000. The top two winners will also receive one-year gift certificates from their co-sponsor, Duotrope (a $50 value). Ten honorable mentions will receive $100 each (any category). Eligibility: the competition is open to anyone. Restrictions: 6,000 words maximum. Deadline: April 30, 2019. Entry fees: $20 per entry. Global eBook Awards Winners gain widespread publicity and online listings, as well as discounts on author and publisher services, to highlight your win. Eligibility: Published authors. Restrictions: Only independently published books from 2017 or later. Deadline: April 30, 2019. Entry fee: $79 per title. International Book Awards Winners gain “more prestige” with industry leaders through their win. Eligibility: Published authors. Restrictions: Only titles with a 2017-2019 publication date, with an ISBN number, and in English. Deadline: April 30, 2019. Entry Fee: $69. Readers’ Favorite Contest First and second prize winners receive cash prizes and publicity. Third prize winners win honorable mentions. Eligibility: Anyone. Restrictions: Works already published by major publishers are not eligible; entries must also have a 2018 copyright. Deadline: April 1, 2019. Entry fees: Early Bird deadline – April 1 ($99), Regular Deadline – May 1 I($109), Final Deadline – June 1 ($119). Claudia Ann Seaman Award A $200 cash award as well as 2 honorable mentions for each genre. Eligibility: High school students worldwide. Restrictions: N/A. Deadline: May 31, 2019. Entry fees: FREE. HG Wells Short Story Competition 2019 The Margaret and Reg Turnill Prize is £1,000 (for writers aged 21 and under) and the grand prize is £250 (for writers aged 21 and over). Eligibility: the competition is open to anyone. Restrictions: this year’s theme is “Time”.Your story can be set anywhere, feature any characters, and be written in any style. The length is 1,500 to 5,000 words. Entries must be in English. Deadline: July 8, 2019. Entry fees: FREE for those aged 21 years and under on July 8, 2019. Over 21s must pay an entry fee of £10 or £5 for those with student ID. Ledbury Poetry Competition 2019Ledbury Poetry Competition 2019. For young adults, the first prize winner receives is £100 in cash. For children, the first prize receives a £25 book token. Eligibility: Young People (12-17) and Children (under 12). Restrictions: All poems must be the original work of the entrant and should not have been previously published, accepted for publication by a magazine, nor entered in other competitions. The length of each poem must not exceed 40 lines. Deadline: July 18, 2019. Entry fees: First poem is free, £1.75 for each subsequent poem. Not So Normal Narrators 2019 The first prize winner receives £200, the second prize receives £100, the third prize receives £50 and a dedicated anthology will include the top ten tales, available winter 2019. Eligibility: the contest is open to writers aged fourteen and over from all nationalities and backgrounds. Restrictions: Your entry should not have been previously published, self-published or accepted for publication in print or online, or have won or been highly placed (e.g. shortlisted or semi-finalist) in another competition at any other time. Not So Normal Narrators are seeking short stories told through underrepresented and unusual teen voices. Wordcount: 2000 – 5000 words. Deadline: August 31, 2019. Entry fees: £4 per story. Young Writers Awards First-place winners in each category are awarded a prize of $500; second-place winners receive $250; third-place winners receive $125. Eligibility: Students in the final three years of high school (US). Restrictions: N/A. Deadline: November 1, 2019. Entry fees: FREE. Write the World Competition Aside from cash prizes for three prize winners, they also get a feature on the blog. Eligibility: Any young writer between 13 and 18. Restrictions: Topics vary. Deadline: Monthly – see site. Entry fees: FREE. Sweek Flash Fiction First place winner receives £50, and the entry gets published. Eligibility: Entrants must be over 13 years. Restrictions: N/A. Deadline: Weekly deadlines. Entry fees: FREE. The Yeovil Literary Prize 2022 The first prize winner receives £200, the second prize receives £100 and the third prize receives £50. Eligibility: The Yeovil Literary Prize is open to anyone over the age of 16. Restrictions: entries must be the work of the entrant and must not have been previously self-published, broadcast, or accepted for publication. This category is wide open. The judges are looking for anything you have written that is inventive, different or just plain fun. As long as it is legal, there are no restrictions. Deadline: May 31, 2019. Entry fees: £5. Narrative Prize The prize winner receives $4000. Eligibility: New or emerging writers in Narrative. Restrictions: Different word counts for each category that can be found in their submission guidelines. Deadline: June 15, 2019. Entry fees: Free for subscribers (nominal fee for everyone else). Berlin Writing Prize 2019. The winner gets a one-month (four-week) residency at Berlin’s The Circus Hotel to take place from January 4th to February 3rd, 2020, a place as a delegate at the British Council Literature Seminar 2020. Two runners up will receive two nights in a double room at The Circus Hotel over February’s competition prize-giving event in January 2020 (dates to tbc in early 2019), and €100 each towards their travel to Berlin. Their winning entries will be published in a Reader Berlin anthology. A further seven shortlisted writers will win Reader Berlin goodie bags, plus invitations to their prize-giving event in January 2020. Their winning entries will be published on The Reader Berlin’s website and in the anthology. Eligibility: entrants must be 18 years old or over on the closing date. Restrictions: entries must be the work of a sole author, no co-authored texts will be accepted and entries must be entirely the work of the entrant and must never have been previously published, either in print or online, with a maximum of 3000 words, excluding title and with the theme: The Circus. Deadline: Midnight June 30th, 2019. Entry fees: €12. Chanticleer Genre Writing Competitions and Book Awards There are several quite substantial prizes available, including cash prizes of up to $1,000 and a powerful promotional boost for winning work. Eligibility: Anyone. Deadline: Check website as there are different deadlines for different genres. Entry fees: $55. The Restless Books Prize for New Immigrant Writing The winner will receive a $10,000 advance and publication by Restless Books in print and digital editions. Eligibility: Residents who are first generation residents of the country they currently reside in. Restrictions: Must not have previously published work in English. Deadline: March 31, 2019. Entry fee: FREE. The Yeovil Literary Prize 2019The Yeovil Literary Prize 2019 for Novels. The first prize winner receives £1000, the second prize receives £250 and the third prize receives £100. Eligibility: The Yeovil Literary Prize is open to anyone over the age of 16. Restrictions: Entries must be the work of the entrant and must not have been previously self-published, broadcast, or accepted for publication. Maximum of 15,000 words, including synopsis and opening chapters. Deadline: May 31, 2019. Entry fees: £12. Novel Opening Chapter and Synopsis Competition First place winner wins £500, with the runner-up receiving £200. Eligibility: Anyone. Restrictions: Submitted story must be previously unpublished. Deadline: October 31, 2019. Entry fees: £10. The International Rubery Book Awards First place winner receives a £1,500 prize with their work guaranteed a read by a top London literary agency. Category winners receive £150 each. Eligibility: Indie writers, self-published authors, and books printed by independent presses. Restrictions: Only published books and ebooks. Deadline: March 31, 2019. Entry Fees: $60. The Firecracker Awards Winners receive a national publicity spotlight, as well as work with the American Booksellers Association. Eligibility: Independent publishers and self-published authors. Restrictions: All books with a 2018 publication date. Deadline: April 1, 2019. Entry fees: $75 ($60 for CLMP members). North Street Book Prize One grand prize winner will receive $3,000, a marketing analysis and one-hour phone consultation with Carolyn Howard-Johnson, a $300 credit at BookBaby, and 3 free ads in the Winning Writers newsletter (a $450 value). The top winner in each category receives $1,000, a marketing analysis and one-hour phone consultation with Carolyn Howard-Johnson, a $300 credit at BookBaby, and one free ad in the Winning Writers newsletter (a $150 value). One honorable mention in each category will receive $250. They publish online excerpts (1,000-6,000 words) from all entries that win a prize, along with critiques from the judges. Restrictions: Self-published books. Deadline: June 30, 2019. Entry fees: $60 per book. Lenore Marshall Poetry Prize The winner receives $25,000 in prize money, plus distribution of the winning book to Academy of American Poets members. Eligibility: US citizens and residents only. Restrictions: Books must be published in the US and submitted in the year after their publication. Self-published books are not eligible. Deadline: May 15, 2019. Entry fees: $75 per entry. James Laughlin Award The winner receives a prize of $5,000, an all-expenses-paid week-long residency at The Betsy Hotel in Miami Beach, Florida, and distribution of the winning book to approximately one thousand Academy of American Poets members. Eligibility: Published poets. Restrictions: N/A. Deadline: May 15 every year. Entry fees: FREE. St. Francis College Literary Prize 2019 The winner gains $50,000 in prize money and is given a platform to talk about their work and present a mini-workshop on fiction at St. Francis College. Eligibility: Anyone. Restrictions: Only work published between June 2017 and May 2019. Deadline: May 15, 2019. Entry fees: FREE. The 16th Annual “Best Book” Awards Winners in each category receive a multitude of benefits, including help with promotion, and publishing industry exposure to name just a few benefits. Eligibility: Published authors. Restrictions: Open only to books published between 2017 and 2019. Deadline: September 30, 2019. Entry fees: $79 per book/per category. Beverly Hills Book Awards You’ll get the chance to win a contest winner sticker to place on your book cover. Eligibility: Published authors. Restrictions: Books published between 2016 and 2018, and written in English. Deadline: September 30, 2019. Entry fees: $75. Young Lions Fiction Award First prize winner receives a $10,000 award. Eligibility: Anyone under 35 at the time of the book’s publication and must be a US citizen. Restrictions: Adult books (not children or YA) and 2019 publication date. Deadline: TBA (Annually in August). Madeline P. Plonsker Emerging Writer’s Residency Prize The winner will receive housing and campus meals, $10,000 and publication of their manuscript. Eligibility: An emerging writer under forty years old with no major book publication. Restrictions: N/A. Deadline: TBA. Entry fee: FREE. Marfield Prize First prize winner receives a cash prize of $10,000. Eligibility: Published authors. Restrictions: Previously published works must be nonfiction titles in English, and originally published in the US. Deadline: TBA. Entry fees: FREE. 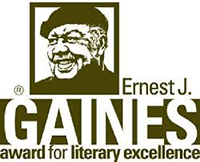 Ernest J. Gaines Award for Literary Excellence First prize winner receives a $10,000 cash prize. Eligibility: Upcoming African-American fiction writers of excellence at a national level. Restrictions: Eligible authors should submit a work of fiction published in the calendar year. Dates: TBA. Deadline: As yet not announced. Entry fee: FREE. The 2019 American Fiction Awards Winners gain widespread international exposure through their win. Eligibility: Published authors. Restrictions: Entries must have an ISBN and have been published between 2017 and 2019. Deadline: May 31, 2019. Entry fees: $69. Chanticleer Genre Writing Competitions and Book Awards There are several quite substantial prizes available, including cash prizes of up to $1,000 and a powerful promotional boost for winning work. Eligibility: Anyone. Restrictions: Copyright must be within the last 3 years and have an ISBN/ASIN designation. Deadline: Check website as there are different deadlines for different genres. Entry fees: $75 per entry per category. Again, good luck! And don’t forget that cup of coffee. This is a great list of resources for writers! Could you please add our writing contest to your list? “Mini-Essay Writing Contest” is a writing contest to encourage people to do more writing in their social media life. Writers can write about life experience, relationship, interests, school life, jobs, travels, or anything. This is a recurrent writing contest which runs quarterly. The current contest ends March 31, 2019. Prizes: $1,000, and three runner-ups can win $200 each. Hi Paul, I’m glad you like this list. We’re always more than happy to help out and share opportunities, but we’ll need more info. Can you send me a message to blog@kotobee.com?